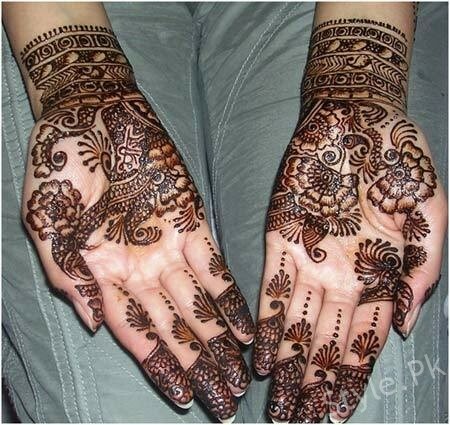 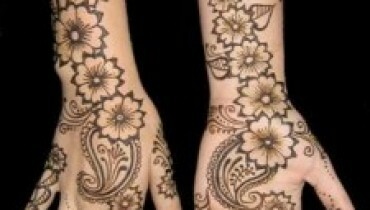 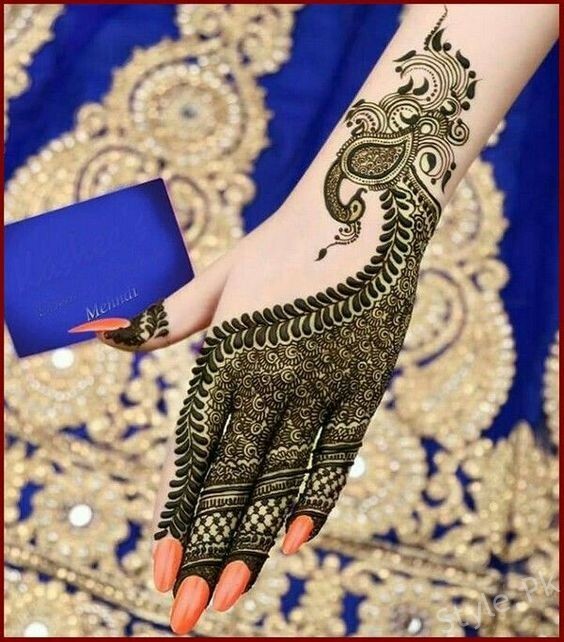 Make your wedding day special and best with the hands beauty through some striking peacock mehndi designs. 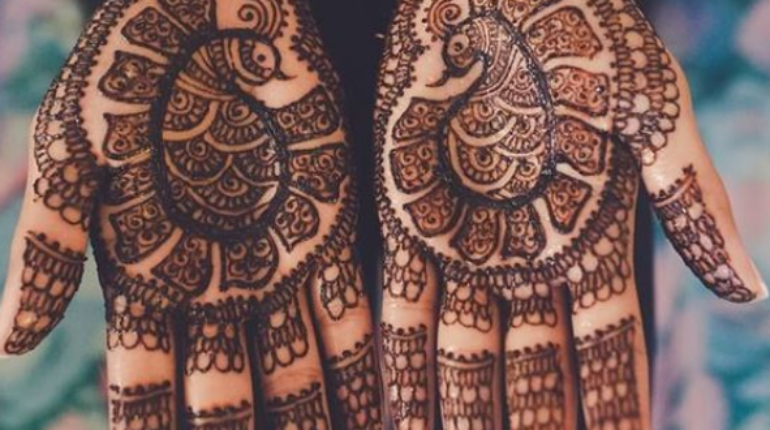 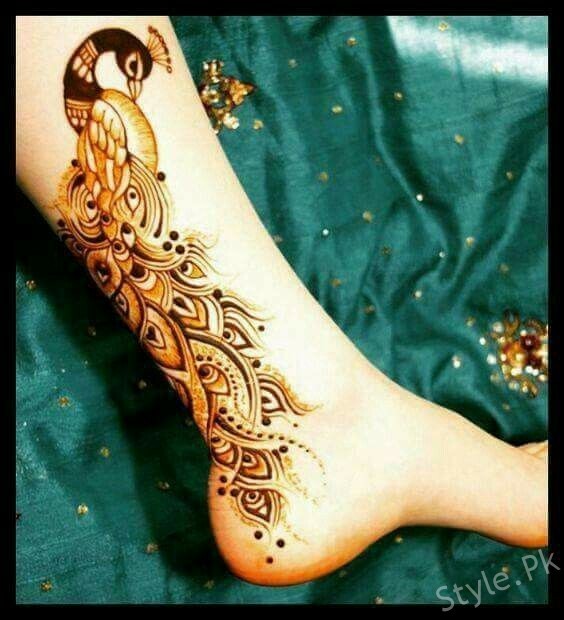 So many different variations are coming over in the mehndi designs for the last few years but in all such variations, peacock mehndi designs are becoming the top favorite ones. 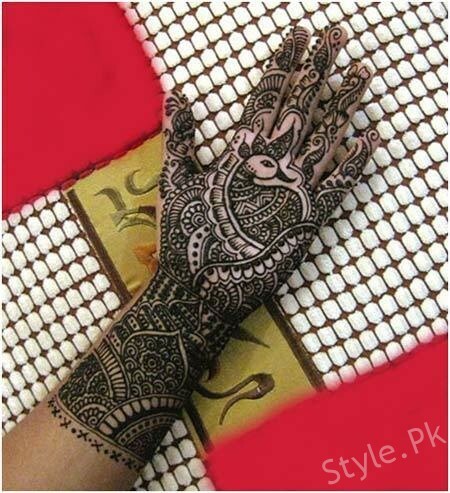 This trend has been becoming the main talk of the fashion world for being added with the elegance and taste of being so much stylish looking. 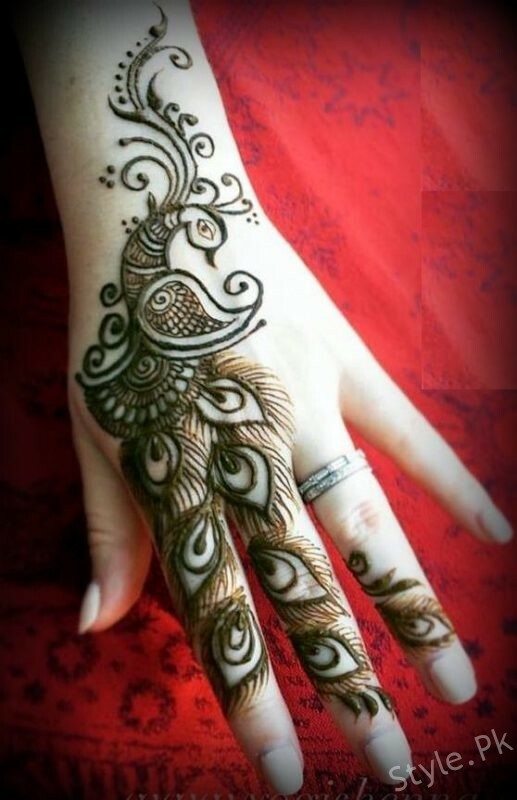 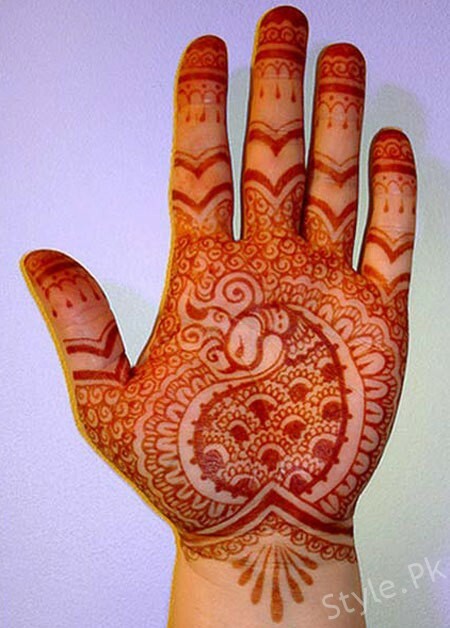 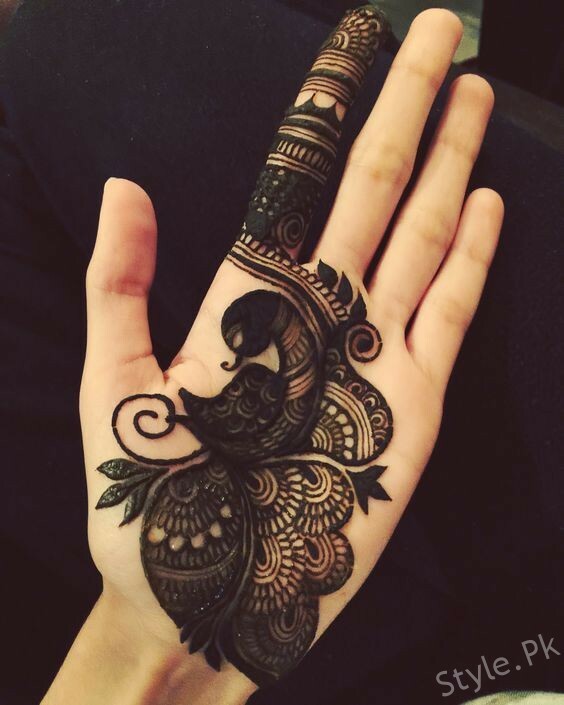 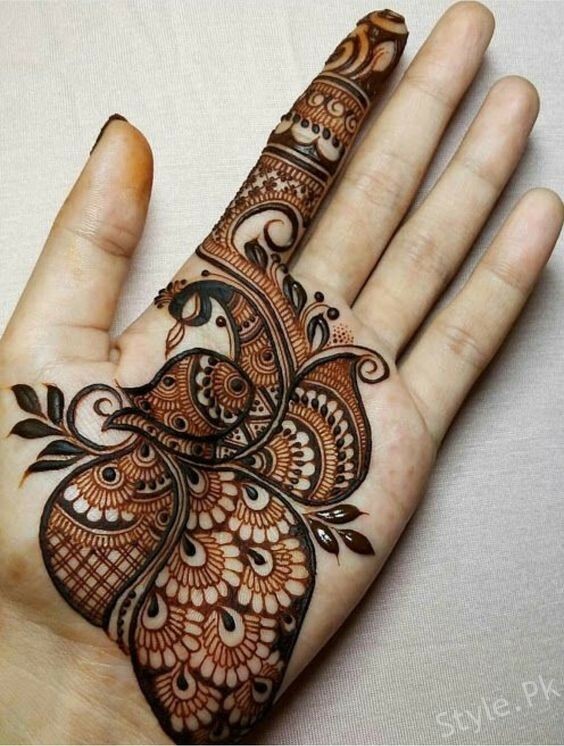 Check out this outstanding design of peacock mehndi design right below! 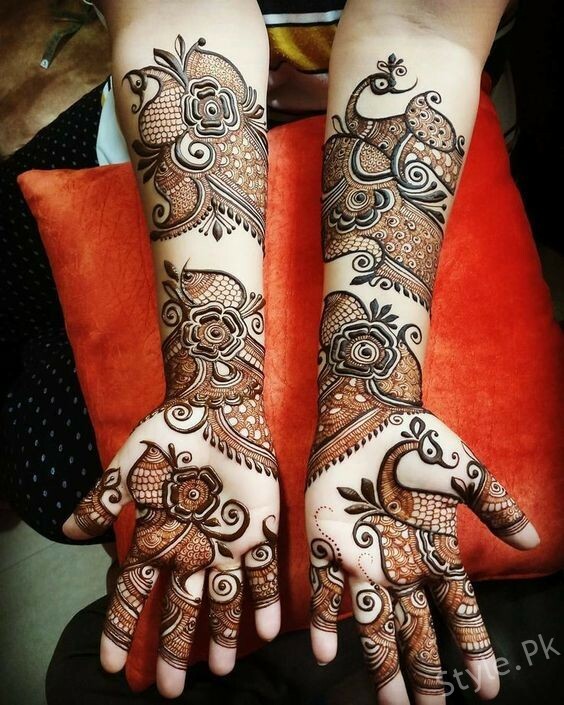 Peacock mehndi designs are put together in so many variations and they are composed added with different designs as well. 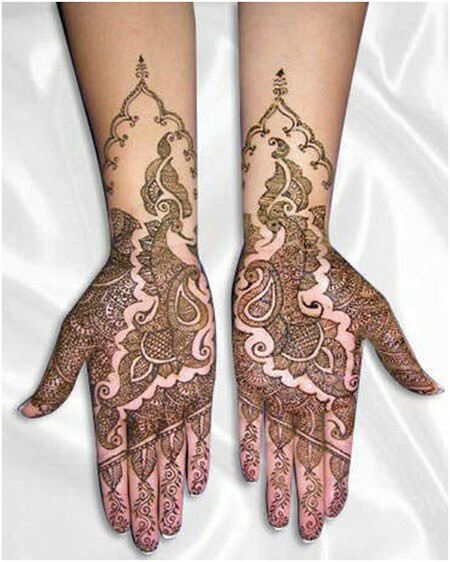 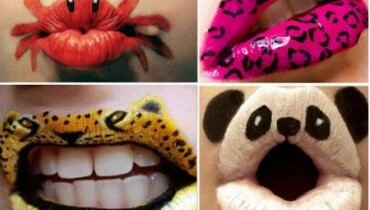 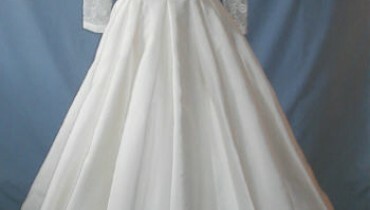 You would be finding away so many creative form of the cuts and hues being put together for adding extra beauty in it. 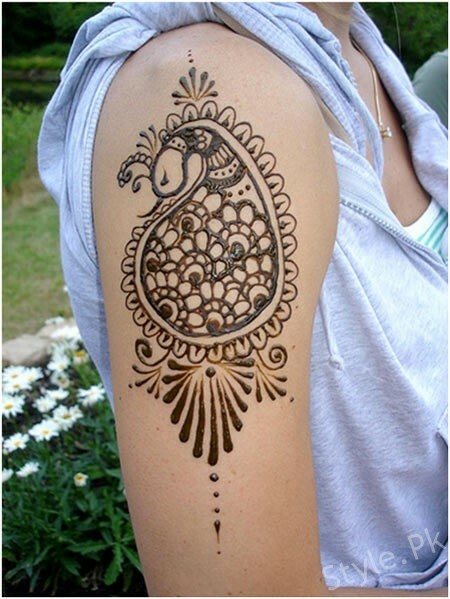 Some of the women even choose with the peacock mehndi designs as an art of tattoo too which they normally add on their shoulder portion of the body. 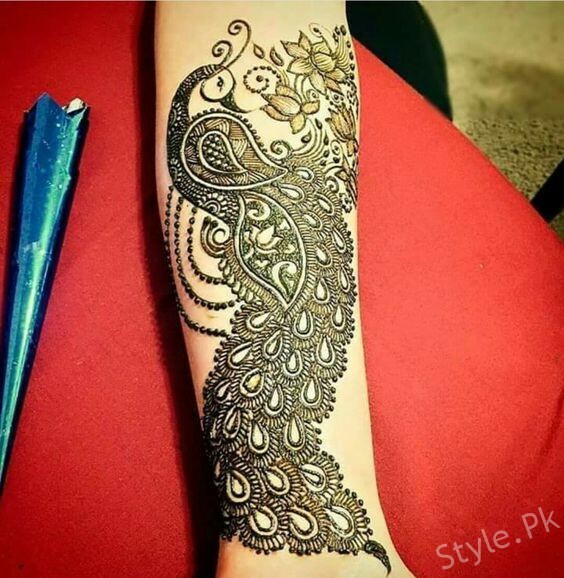 The trend of peacock mehndi design was started from the Indian bridal industry and now it had made a special name in the Pakistan fashion world as well. 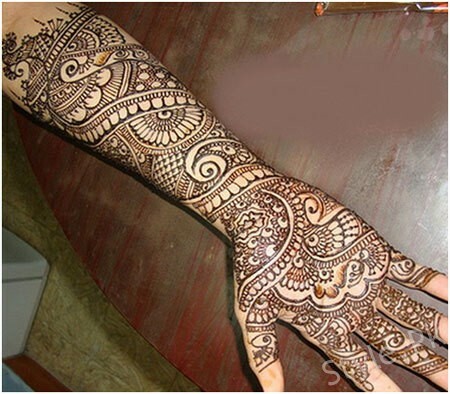 It is best to be applied on the hands on both front and back side and even on the feet area. 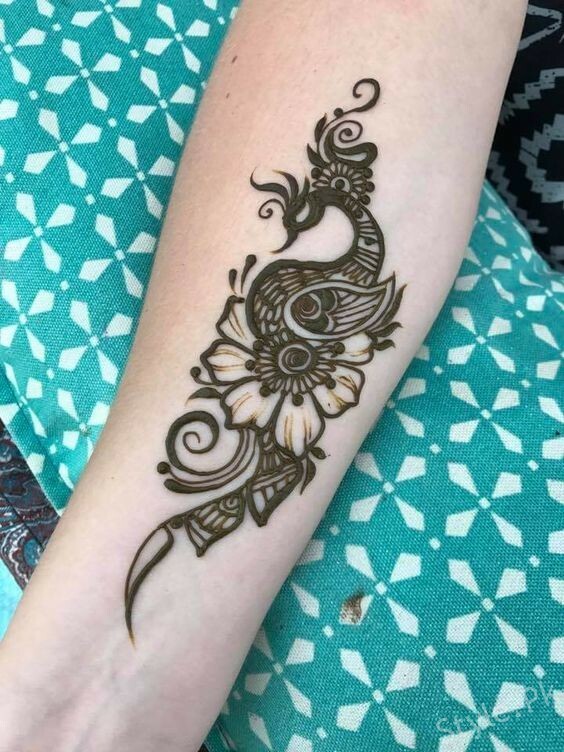 Here we have another peacock mehndi design for you! 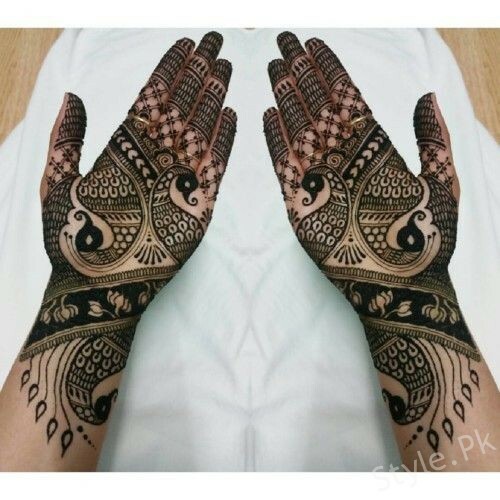 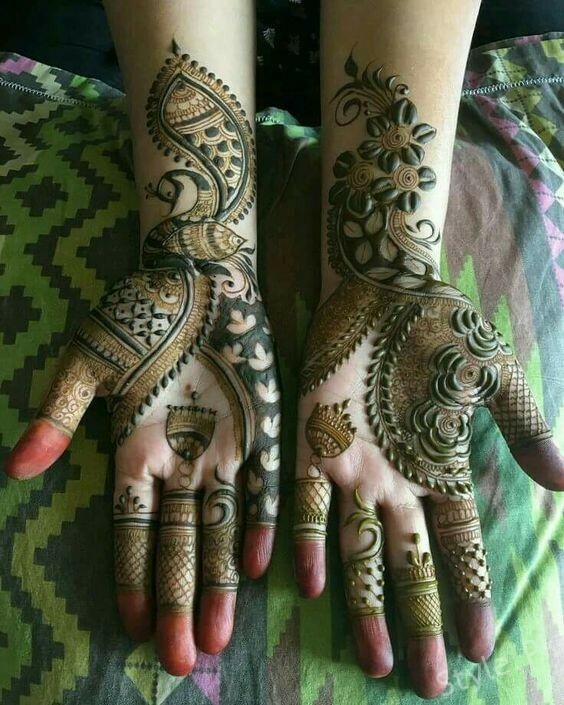 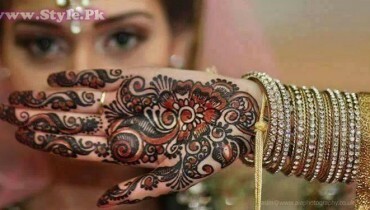 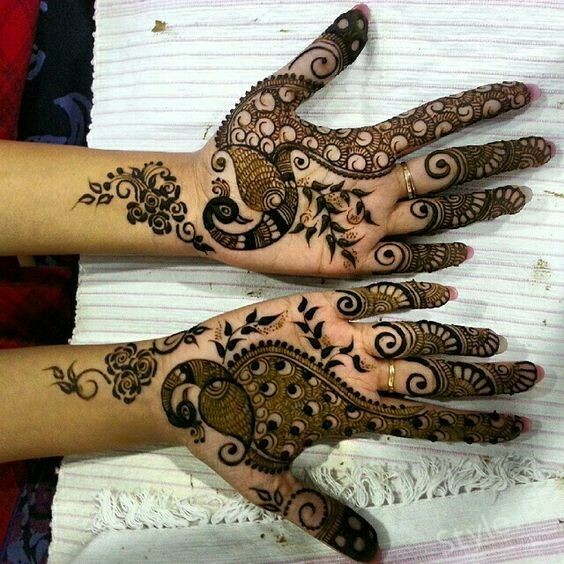 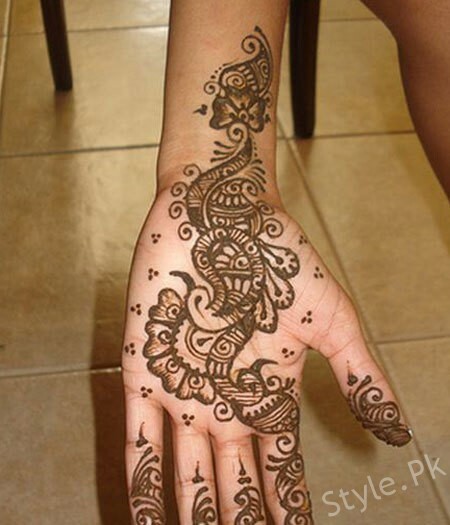 You will be finding the mehndi designs to be implicating out with the designs of the peacock shaping that make the whole mehndi design much thrilling looking. 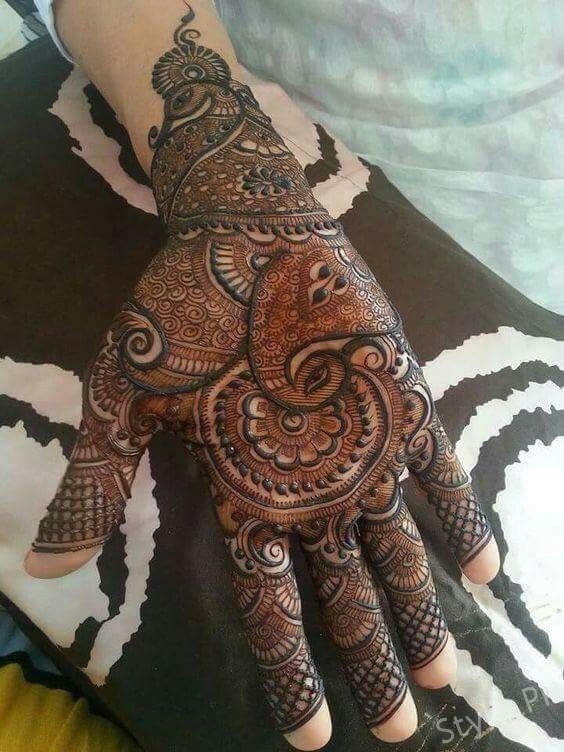 In this way as you would start searching around you would be finding so many different designs and styles of the peacock mehndi designs within it. 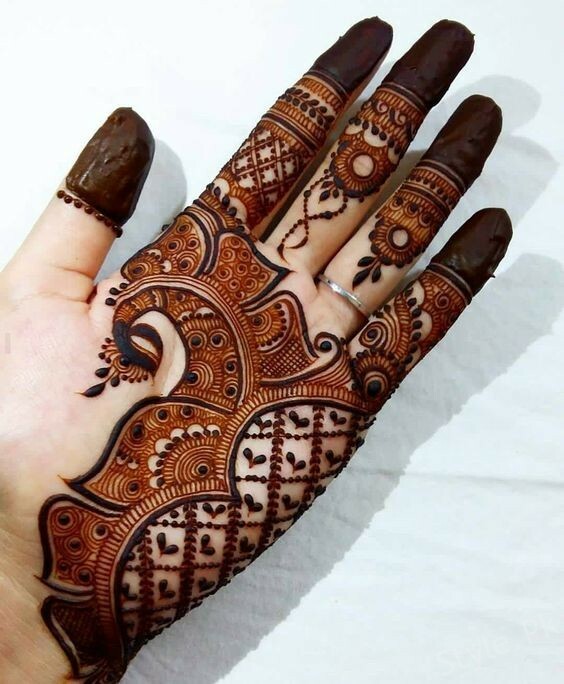 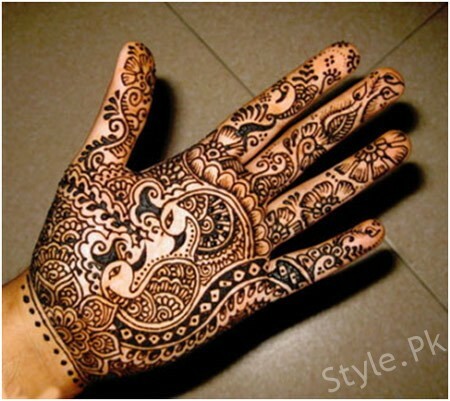 You need to pick the one that suits best according to your personality as both the simple and intricate mehndi designs are part of it. 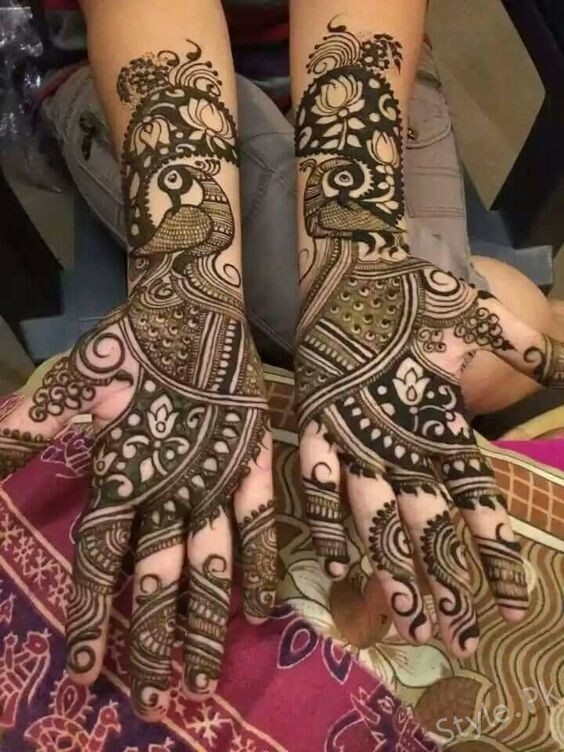 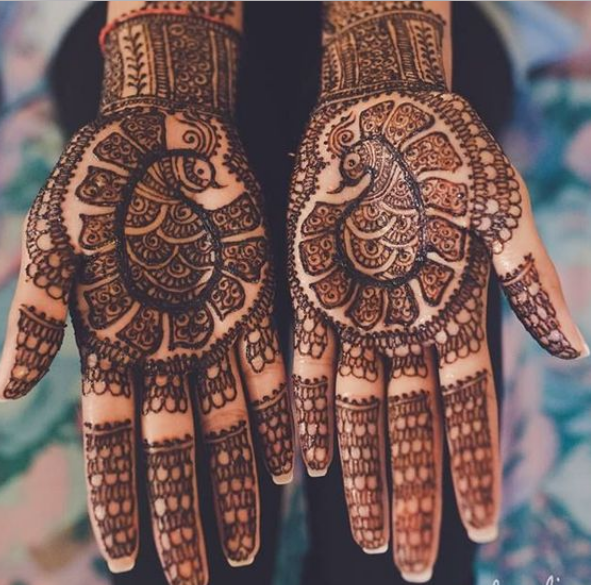 If you want to make your wedding day special with peacock mehndi designs then without wasting any time scroll down and check out some interesting and amazing peacock mehndi designs right now!